When troubleshooting an Industrial system and you find a bad AC drive or DC drive, check the output section for shorts or opens. If your output section has been damaged make sure to use a megger on your motor to make sure the motor did not short causing the drive to go bad. 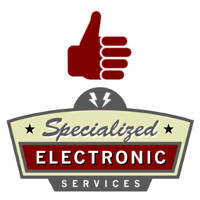 At Specialized Electronic Services we have seen many AC drives and DC drives go bad due to a motor shorting out. On DC motors make sure the Armature is not shorted to ground or to the field. On the field check the field resistance and look for bad brushes as well as Meg the field to ground and to the Armature. On AC motors check all three phases one at a time to ground with a megger as well as check for phase to phase shorts. We have had more the one customer get a drive repaired and put it back in the system and have it fail on start up due to a bad motor they did not check out.